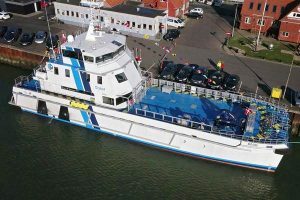 MHO Gurli and MHO Esbjerg are operated from the third deck, where the wheelhouse and workstations enjoy uninterrupted vision of the turbine tower and surrounding working areas. Tasmanian high speed catamaran designers Incat Crowther recently announced the delivery of the 39m Multipurpose Crew Transfer Vessels ‘MHO Gurli’ and ‘MHO Esbjerg’. 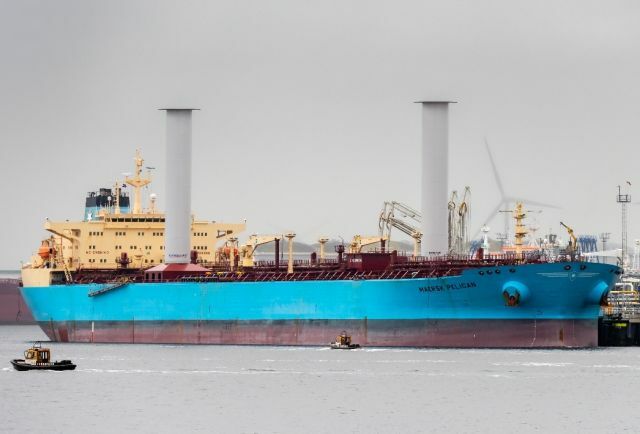 The vessels were built by PT Bintang Timur Samudera in Indonesia and delivered to MH-O & Co to be operated in European waters for Orsted in their Hornsea Project One offshore wind farm. The vessels, designed by Incat Crowther, are the largest Wind Farm Support Vessels to enter service to date anywhere in the world. They draw on Incat Crowther’s experience with larger offshore fast catamarans operating in the oil and gas industry. The platform was specifically designed to deliver exceptional seakeeping, stability and comfort, whilst accommodating a highly redundant quad-engine / quad-jet propulsion package. During the meeting of the IMO Sub-Committee, a correspondence group was established. The IMO Sub-Committee on Ship Systems and Equipment held its 6th Session from 4 to 8 March 2019. The meeting focused on improvements in ventilation conditions of survival craft that will be achieved by finalising draft amendments to the LSA Code on ventilation requirements for survival craft and draft amendments to the ‘Revised recommendation on testing of life-saving appliances’. Mainly, the Sub-Committee discussed the draft amendments to the LSA Code, relating to ventilation requirements of totally enclosed lifeboats. In the meantime, the meeting made progress in developing draft amendments to the revised recommendation on testing of life-saving appliances regarding the ventilation of survival craft, aiming to ensure a habitable environment is maintained in such survival craft. Norsepower Oy Ltd., the leading clean technology and engineering company pioneering modern auxiliary wind propulsion for the global maritime industry, has announced that its innovative Rotor Sail Solution has received the first-ever type approval design certificate granted to an auxiliary wind propulsion system onboard a commercial ship. 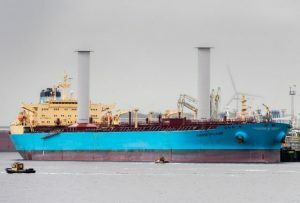 The type approval from DNV GL was issued in February 2019 after a design assessment of Norsepower’s 30-metres by 5-metre Rotor Sail, two of which have been installed onboard the Maersk Pelican LR2 tanker. The landmark certification means that vessels operating Norsepower’s Rotor Sail Solution are technically capable of safely navigating ‘all operational and environmental situations’. Steel coils come in many sizes and weights, and can be arranged in various ways regarding the placement of the locking coil, the number of tiers, and the dunnage. 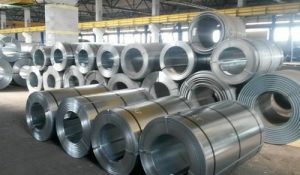 Often cargo planners who are preparing the stowage of steel coils in the cargo hold of a general dry cargo ship or bulk carrier, do not have the necessary cargo type specific information required to help them decide the permissible cargo load, thus preventing damage to the ship’s structure. As Jan Rüde, Ship Type Expert MPV, DNV GL explains, according to SOLAS Chapter VI, Reg. 5, every ship must have an approved cargo securing manual.